On the 2nd of November, Friday, Demi Lovato stopped at Universal Studios Hollywood following three months in a rehabilitation facility on account of her drug problem. Demi, who first rose to prominence as a child star with the company, Disney, is known for advocating the destigmatization of mental health issues. The 26-year-old singer was at the yearly Halloween Horror nights event around 9:00 pm, accompanied by a plethora of security guards and agents from her team. Additionally, Demi was there with a male friend, who hasn’t been named yet. Phil Shaw, who was also there at the event, said that Lovato was “looking great;” she smiled and greeted people as they walked by. Shaw said to Us Weekly that she came through the regular entrance and didn’t make much of a scene, other than traveling with an entourage of tough-looking men. As fans of the singer know, she has been seen around Los Angeles in the past few days, after finishing her 90 days of sobriety in rehab. A day after hanging out at Universal Studios, she had dinner with the fashion designer, Henry Levy, while at the Matsuhisa restaurant in Beverly Hills. In the past, Lovato has spoken also about eating disorders and other personal battles. However, she broke fans’ hearts when she overdosed on drugs during the summer months on the 24th of July. 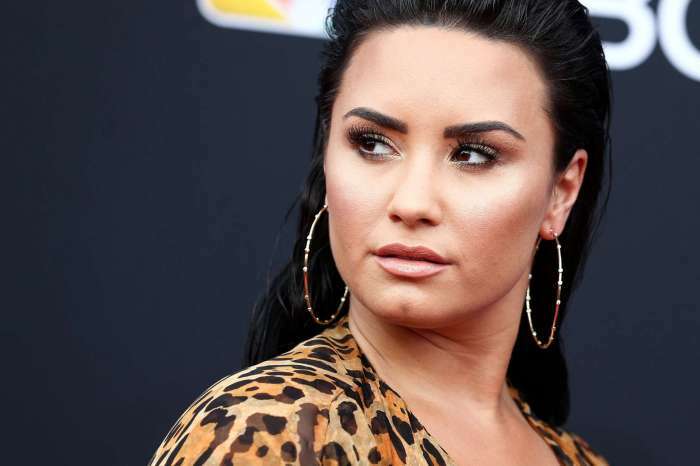 Following the announcement of her relapse, fans gathered outside a concert venue where she was slated to perform, singing some of her songs, including lyrics from one of her latest tunes, “Sober.” Demi released “Sober” after rumors swirled that she had succumbed to substance abuse once again. Two weeks later, medical professionals released her to a rehabilitation clinic outside of California. In an Instagram post on the 5th of August, Demi said to her millions of followers that she was taking some time to focus on recovery and sobriety. Kailyn Lowry Finds Love Again - Reveals She's Dating!